What’s in a muse? For each iconic piece of art, there’s a person—usually a woman—behind the inspiration. Author F. Scott Fitzgerald had his wife Zelda, playwright Tennessee Williams had his many female relatives who became the inspiration for his female protagonists. In music, muses almost have a following all their own. Women like Pattie Boyd and Jane Asher inspired Beatles like George Harrison and Paul McCartney—Pattie later being the source of inspiration for Eric Clapton too—and Anita Pallenberg made an impact on both Brian Jones and Keith Richards of the Rolling Stones. But who are the women inspiring our best filmmakers in movie history? 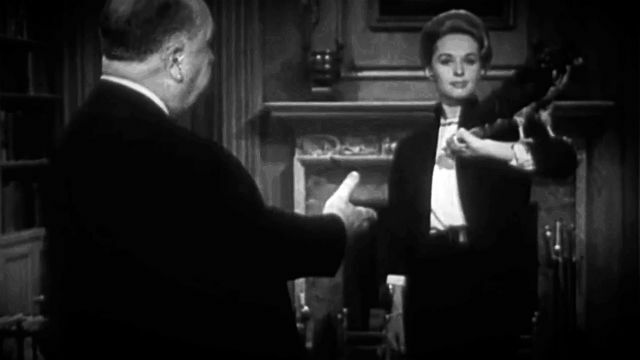 Alfred Hitchcock was notorious (no pun intended) for casting blondes as female leads, particularly Ingrid Bergman, Grace Kelly and Tippi Hedren. These were the three he collaborated the most, and was maybe even obsessed, as some of his colleagues have alluded to over the years. Hedren in particular hasn’t been completely flattering about her experience with the classic director. Yet she still praises her work in The Birds (1963) and Marnie (1964), just as Bergman did with Spellbound (1945) and Notorious (1946), and Kelly with Dial ‘M’ for Murder (1954), Rear Window (1954) and To Catch a Thief (1955). Bergman would also serve as muse and leading lady in second husband Roberto Rossellini’s iconic Italian films like Stromboli (1950) and Journey to Italy (1954). Martin Scorsese is another fan of blondes, with Ellen Burstyn, Cybill Shepherd, Cathy Moriarty, Rosanna Arquette and Sharon Stone cast as the main ladies of Alice Doesn’t Live Here Anymore (1974), Taxi Driver (1976), Raging Bull (1980), After Hours (1985) and Casino (1995). The First Lady of American Cinema herself, Lillian Gish, was muse to the first influential filmmaker in Hollywood, D.W. Griffith. She appeared in his groundbreaking movies The Birth of a Nation (1915), Intolerance (1916), Broken Blossoms (1919) and Way Down East (1920) for celluloid inspiration. Norma Shearer would be dubbed the First Lady of MGM for not only being the contracted actress with the most box-office appeal, but also the wife of studio head Irving Thalberg. Gena Rowlands, Anna Karina and Monica Vitti were famous muses for their artsy, new wave filmmaker husbands, John Cassavetes, Jean-Luc Godard and Michelangelo Antonioni. Diane Keaton jumped into superstardom as muse and girlfriend of Woody Allen, most prominently with the romantic comedy Annie Hall (1977). On the opposite end, actress Nancy Allen (no relation to Woody) was muse to her ex-husband Brian de Palma with hit thrillers like Carrie (1976) and Blow Out (1981). In more modern filmmaking, character actress Frances McDormand has spent her whole career married to and working with writer-director Joel Coen from her film debut Blood Simple (1984) to her first Oscar for Best Actress with Fargo (1996). Similarly, comedienne Leslie Mann has had a romantic and creative partnership with husband Judd Apatow her entire career with movies like The Cable Guy (1996), The 40-Year-Old Virgin (2005) and Knocked Up (2007). I don’t know about you, but as a female film fan, especially back when I was in film school, I was quite jealous of most of these ladies.